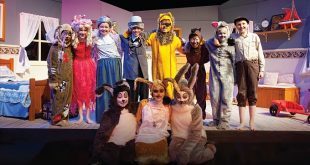 Be a Mary Poppins and take learning outside your classroom. 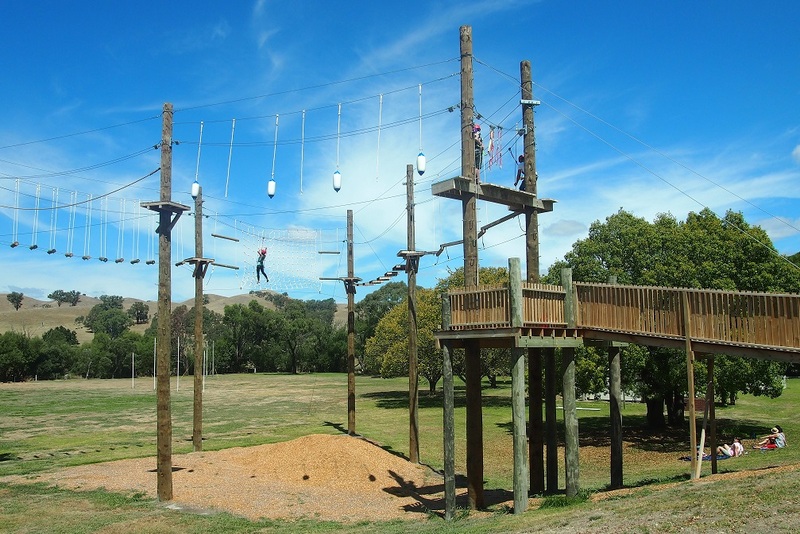 Fun, adventure, challenges and team building: these are all part of what makes Alexandra Adventure Resort one of the best camps in Victoria! 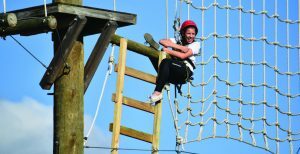 Totalling over 16 outdoor activities, there is something to test everyone’s skills. Our camp is recently renovated with new beds and teacher facilities – you won’t want to leave! 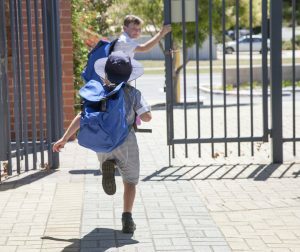 With horrific stats like one-in-eight primary school children getting less than 30 minutes of outdoor playtime each day, it’s no wonder students go wild at the mere mention of a school excursion. Depending on your location, exploring Victoria might be a local jaunt or a long-haul flight. Either way, there’s so many different things to do, and so many ways to integrate cross-faculty learning that it’s well-worth the planning. 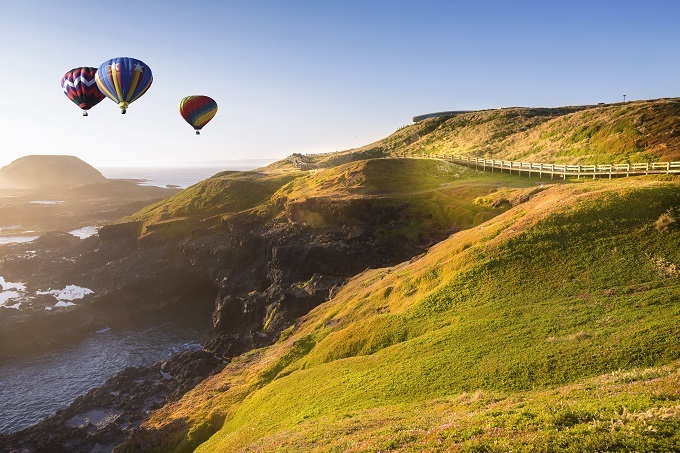 Victoria has a stunning plethora of national parks and botanical gardens boasting native flora and fauna, with iconic natural sights to see along the Great Ocean Road, across the Twelve Apostles, the Yarra River, and more. 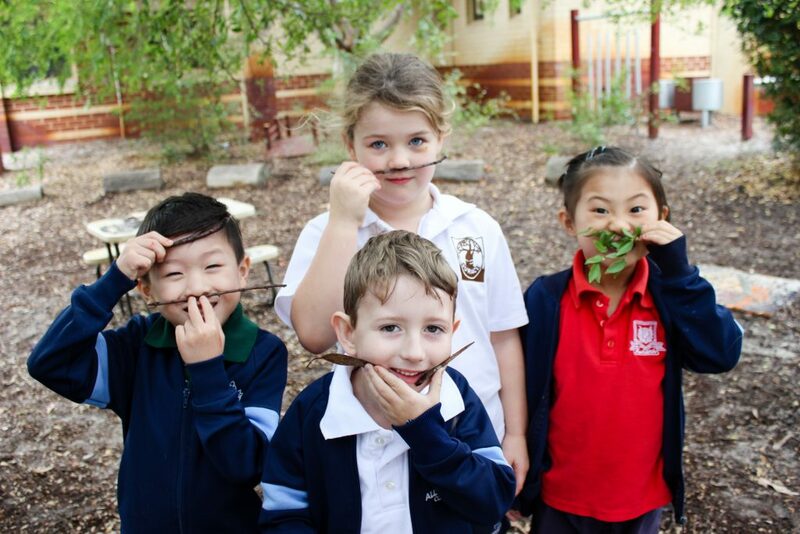 Outdoor learning is not just being eroded by generation Z’s reliance on hand-held technology but also by the pressures of testing and academic studies. All of this in spite the World Health Organisation’s recommendation for children to receive at least one hour of physical activity per day. Shine a spotlight on a special corner of Australia’s stunning natural scape, explore our national history, both modern and ancient, through landmarks, museums, galleries, shows, and more. Why Victoria, you may ask… Why take students to Victoria for an educational excursion? Well, Victoria has curated a reputation for prioritising its natural wonders and Indigenous history; there are many high quality organised outdoor activities that are a critical part of the Victorian economy as well as world-class history and art exhibits. To put it in perspective, outdoor activities account for four times as many jobs in Victoria than the mining sector! 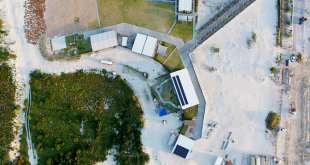 With an abundance of outdoor activities to choose from: nature-based, camps, outdoor recreational activities, bushwalking, canoeing, birdwatching, beach activities, etc., it is a great location to organise an excursion. An increasing amount of research is showing educators the value of outdoor play for young children. 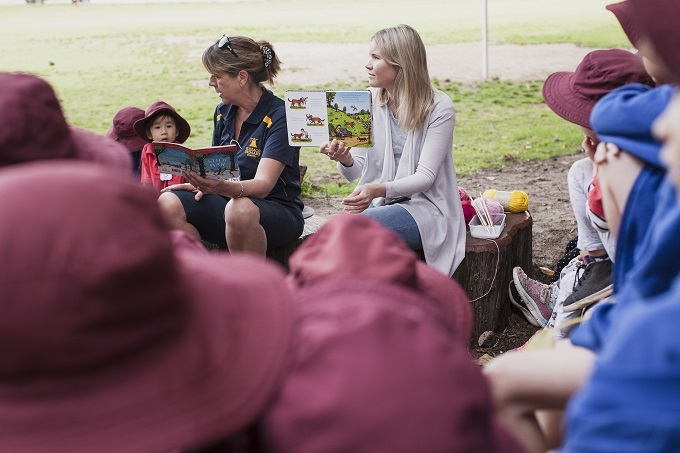 With this in mind, there are great new programs in Victoria that focus on play in the bush, at the beach and other natural spaces for primary school-aged children. 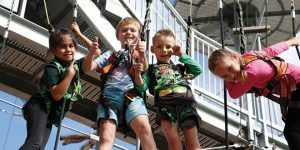 Go online and check out the Outdoors Victoria resource, where there are a plethora of innovative ideas including sea kayaking and ‘bush adventure therapy’, which targets young people affected by adversity. See penguins and fur seals in the wild at Phillip Island and learn about Antarctica. Go fish! Take young anglers to cast a line in a pond or find a farm that will let them catch and help cook their own lunch. Hearty high seas? Lap Port Phillip Bay in a ferry boat. Walk! 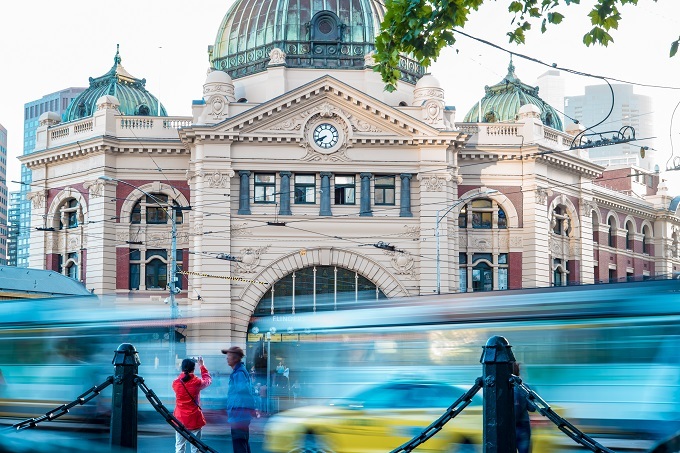 Learn about Melbourne’s amazing history and architecture when you engage in walking tours around the city. Bus tours are a great option for special education groups, or class groups that require wheelchair access. Bus and private tours are particularly good if you can recruit a guide or bus commentator with a sense of humour. Museums: there’s so much happening in Victorian museums that we could never quite do them justice here. Keep yourself up-to-date with the latest exhibitions and events at Melbourne Museum, Immigration Museum, Scienceworks, the Royal Exhibition Building and IMAX Melbourne Museum. They publicise their exhibits well in advance so you can find out if one will line-up perfectly with a unit you plan to teach. 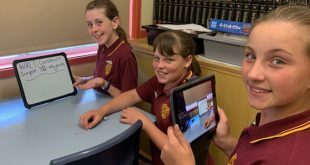 A Lego convention was held at the Royal Exhibition Building in January, which might interest little STEM learners around the country. Melbourne Museum is hosting its epic Nelson Mandela exhibition until March; then Sidney Nolan’s Ned Kelly series will take over until May 2019. Melbourne’s International Jazz Festival will launch mid-2019, attracting young musicians and classic music teachers, while the gymnastics World Cup will be gathering in the city this February not to mention, the epic 2019 NRL Harvey Norman All-Stars. If you can work that last one into your planned school excursion, hat’s off. 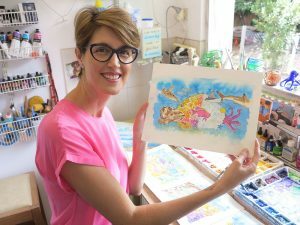 Did you know that Melbourne Museum is Autism-friendly? Get the free Field Guide app. 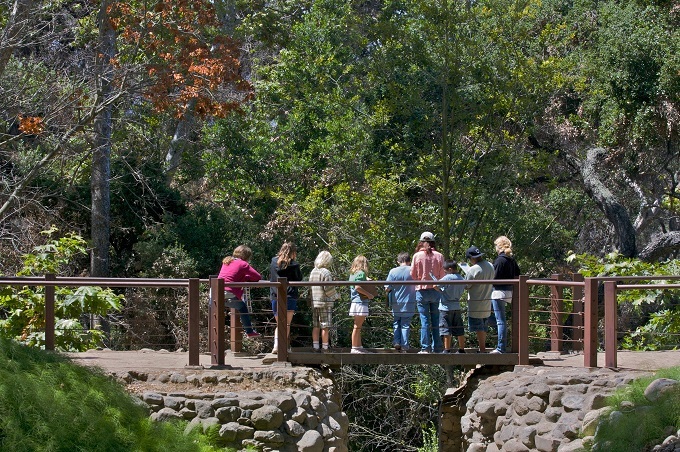 to learn about Victoria’s unique and diverse wildlife in the great outdoors. It has descriptions of over 950 species, including birds, mammals, fishes, reptiles, frogs and invertebrates from terrestrial, freshwater and marine environments. It’s part of an ongoing collaboration between Australia’s major natural history museums – so you can use it wherever you go! Are you signed up to Outdoor Classroom Day? This fantastic global campaign celebrates and inspires outdoor learning and play. The latest Outdoor Classroom Day was November 1, 2018 and the next will be May 32, 2019, when thousands of schools and millions of children around the world will take their lessons outside and share their experience. Why should you join in? First, it’s free! Second, because we must make outdoor learning an essential part of every day, at school and at home. 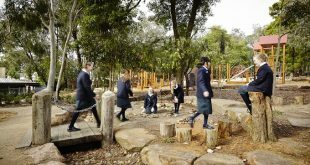 The good news is that there are a growing number of schools worldwide that recognise how important outdoor learning and play is to children. They want to reach their full potential as much as we want them to, so let’s give them the best tools we can. 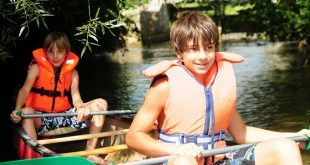 Research is also showing that outdoor learning improves children’s physical and mental health, helping create a lifelong connection with nature. That’s why we’re starting to see nature therapy-type programs pop-up in the education sector and in our wider communities. Have you heard of Project Dirt? Project Dirt asked teachers who have taken part in previous Outdoor Classroom Days about the impact of taking children outdoors. Two surveys across 45 countries with teachers who participated in the campaign between 2016-2017. 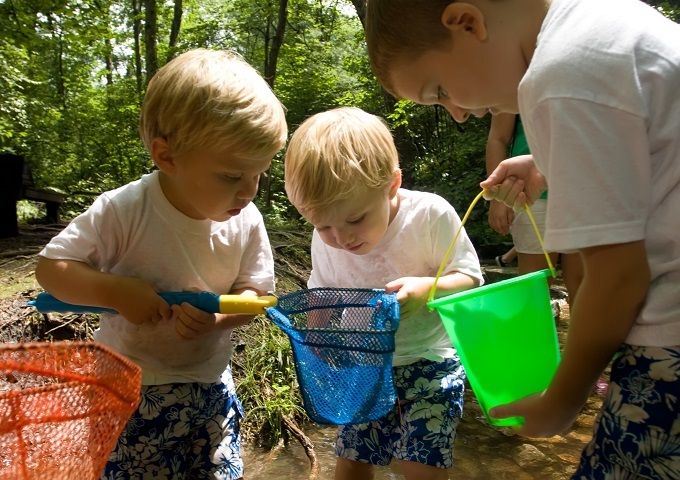 68 percent of teachers want more time for children to play outdoors. 87 percent of teachers want more time to take lessons outside. 97 percent of teachers worldwide believe that outdoor playtime throughout the school day is critical for children to reach their full potential. 88 percent of teachers globally said that children are happier after playing outdoors, and 89 percent said the same when they learn outdoors. 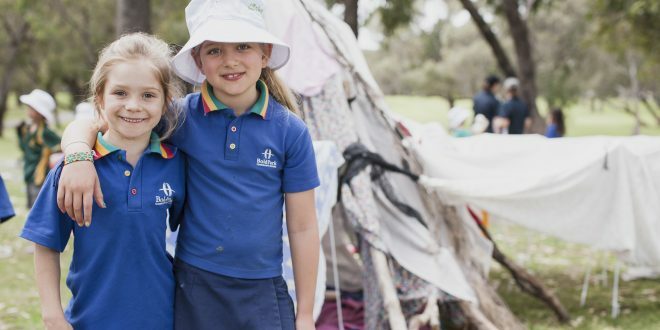 There are more that 500 Aussie schools already signed up but many more schools are encouraged to join in and spend an entire school day learning and playing outdoors. Even if you already get your children outdoors regularly, why not use the day to celebrate what you are doing and inspire others. Check out the online Outdoor Classroom Day resource; it encourages schools to share what they do outside of the classroom on the day, along with two million other kids around the world on the same day. 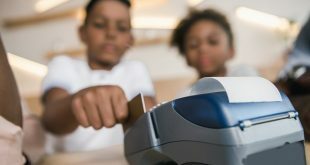 There are lots of fantastic individual lesson and topic ideas from a broad range of experts and organisations. 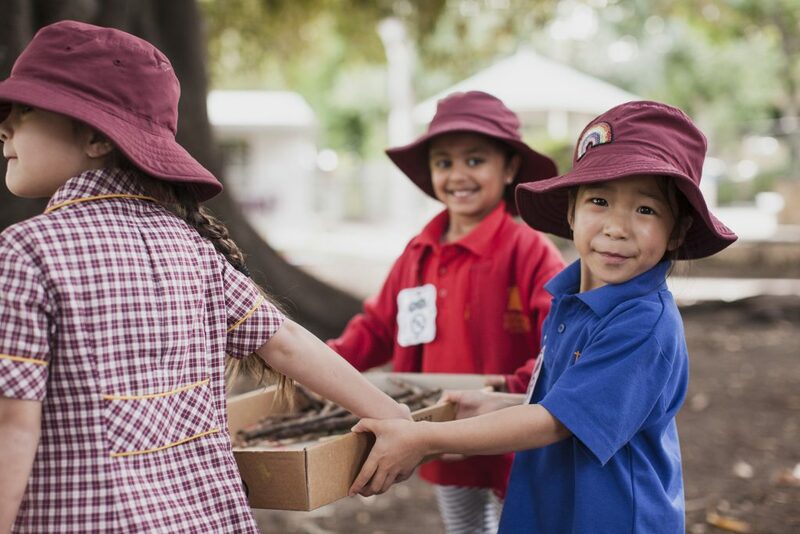 Be inspired and inspire others by using #OutdoorClassroomDay on your public Facebook, Twitter or Instagram post and tell us what you get up to in Victoria! 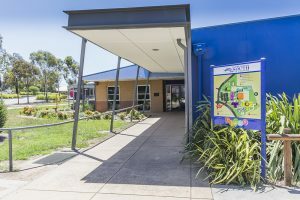 “We have a very environmentally strong curriculum and with the solar, our students can monitor our system with apps, plan targets, etc., they can watch it in real-time as we have set up our facility for students to see the batteries and system working," said Atlantis Beach Baptist College principal Brendon Donaldson. 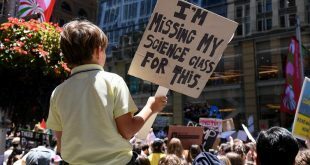 Australian students’ activities over the past week evidence their knowledge and capabilities in an education system valuing both economic and democratic functions of education.